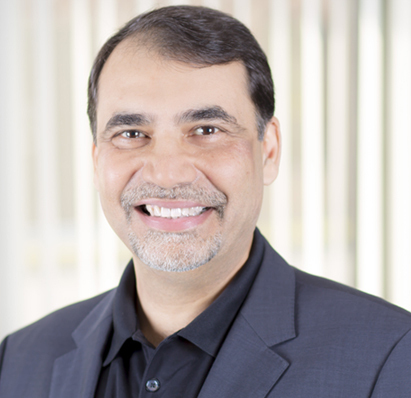 Anurag Lal is the President & CEO of Infinite Convergence Solutions. With more than 25 years of leadership and operating experience in technology, mobile, SaaS, cloud and telecom services, Anurag leads a talented team of innovators who are transforming everyday messaging technology into secure, highly scalable communication platforms that can be leveraged across a variety of markets and segments. Prior to Infinite Convergence, Anurag served as Senior Vice President at Meru Networks (NASDAQ:MERU) and Chief Business Development and Sales Officer at iPass Inc. (NASDAQ:IPAS). During his tenure at these organizations, Anurag played an instrumental role in the successful, multi-billion dollar IPOs for both iPass and Meru Networks. Anurag’s background also includes tenures as Vice President of Internet and Multimedia Services for British Telecom (Worldwide) and senior management roles at Sprint International. Appointed by the Obama administration, Anurag previously served as a Director of the U.S. National Broadband Task Force (part of the Federal Communications Commission). In his role on the task force, Anurag helped develop a deeper understanding of global broadband policies, regulations and best practices. He was also a core contributor to the first-ever national broadband plan. Anurag holds a B.A. in Economics from Delhi University, has attended the Senior Leadership Program at Harvard University’s John F. Kennedy School and is a Wharton Fellow at the University of Pennsylvania. A frequent contributor on wireless connectivity, broadband and related security issues, Anurag has received various industry accolades, including recognition by the Wireless Broadband Industry Alliance, U.K., the Maryland Technology Council and Red Herring for exceptional individual and technology contributions to the wireless broadband industry.